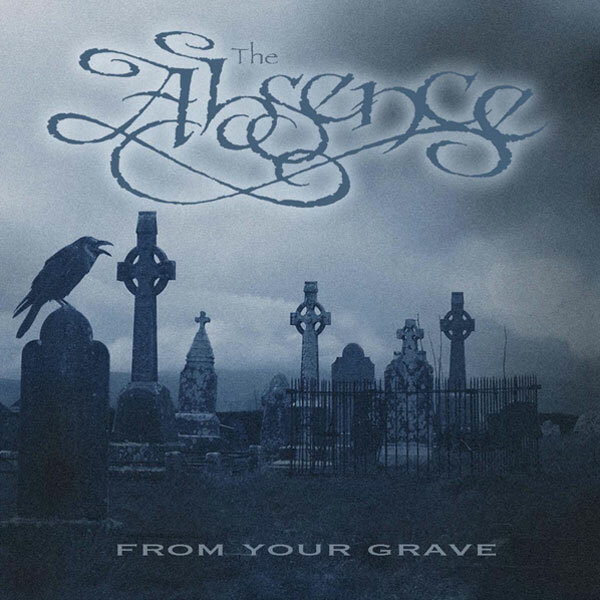 From Tampa, Florida, The Absence explode onto the metal scene with a modern masterpiece of a debut. Drawing inspiration from the best of European melodic death metal, most notably Arch Enemy and At The Gates, and combining the slightly faster speeds and snarly attitude of thrash's essence, From Your Grave is quite shocking in its consistent brilliance. After the brooding instrumental intro, The Absence reel off three instant classics in a row. A Breath Beneath is full of power and purpose, sharp melodies sharing space with clever harmonies, The Absence immediately achieving an elegance that most band spend a career chasing. And this is all a prelude to the staccato guitars kicking-in to floor the accelerator, only for a series of well-executed pace and signature changes to immediately raise the bar. It does not seem possible, but Necropolis follows to immediately prove that The Absence have still more gears to play with. Seemingly effortlessly finding the tone that At The Gates nailed on Slaughter Of The Soul, Necropolis plays with more clever staccato passages and grand signature changes, culminating at the 2:24 mark with a devastatingly methodical scorched-earth guitar assault. And then title track From Your Grave erupts, more nimble, more threatening, faster still, with magical slow foundational layers allowing free-spirited guitar solos to shine in the best traditions of Kalmah. The next three full tracks Heaven Ablaze, Summoning and I, Deceiver are merely very good. On most other albums these tracks would shine; here they demonstrate the depth of From Your Grave's quality. The album ends with two more sensational tracks. From a set full of glorious selections, My Ruin distinguishes itself as the best. The Absence go into full-on amplified Arch Enemy mode, tempo changes introducing soulful solos courtesy of Peter Joseph, a layered arrangement allowing Jamie Stewart to bellow his vocals while Jeramie Kling's drums support deliciously sophisticated harmonies. Album closer Seven Demons brings the curtain down by taking a twisty new turn, Stewart changing his tone to deliver a demoniacal and intentionally ever-so-slightly off-key chorus that drives more than six minutes of metal marching purposefully to what can only be a collection of open and occupied graves, Joseph and Patrick Pintaville trading solos in the best tradition of duelling guitar majesty. Metal debut albums of this standard are few and far between. The Absence land with a thunderous impact, absent no more. Produced by Erik Rutan and The Absence. Mixed and Engineered by Erik Rutan and Tom Morris.